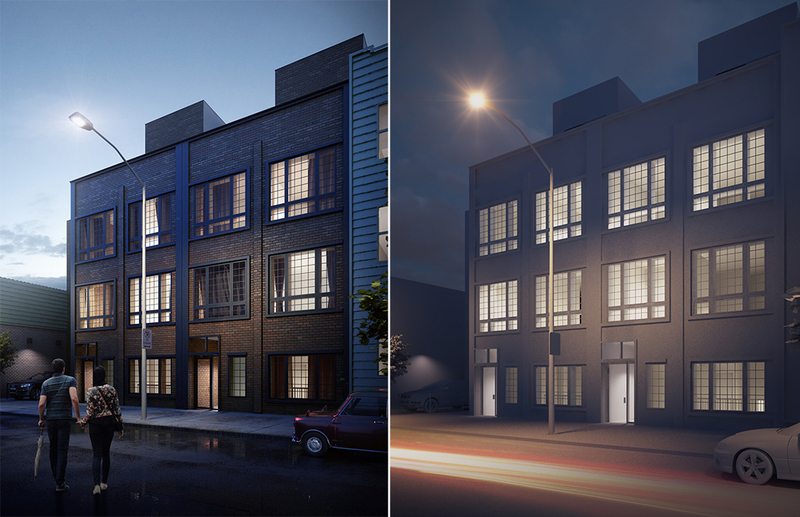 Here’s our first glimpse of a pair of four-story residential buildings at 220-222 Withers Street in East Williamsburg. 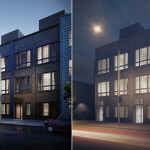 Renderings recently published by the site’s owner, BK Developers, depict two identical, eight-unit buildings faced with a routine exterior of red brick, multi-pane windows, and dark metal trim. Three floors are flush to the streetwall, while the fourth is setback. Within each 5,000-square-foot building, the first and second floors will each house a single unit while the upper two levels will contain a duo of duplexes. 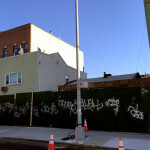 Yet-to-be-approved permits were filed last August, with Zproekt listed as the architect of record. 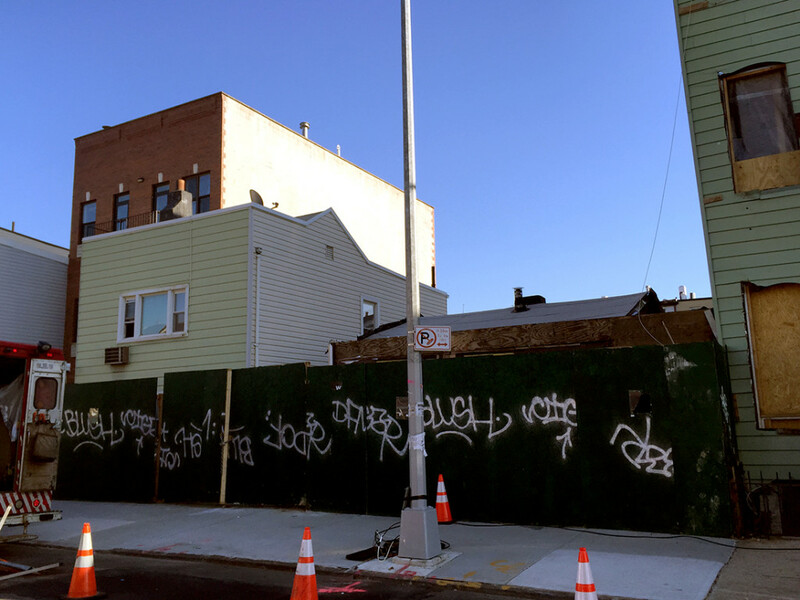 The project will replace a single-story, wood-shingled house and a two-story, mint green, aluminum-sided building. 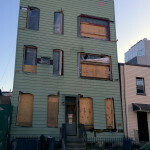 Next door at 218 Withers, a derelict and unoccupied three-story building uncomfortably leans over BK’s development site. 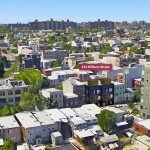 The development is located along a new construction-heavy block between Humboldt Street and Woodpoint Road that is within walking distance to the Graham Avenue L train station. 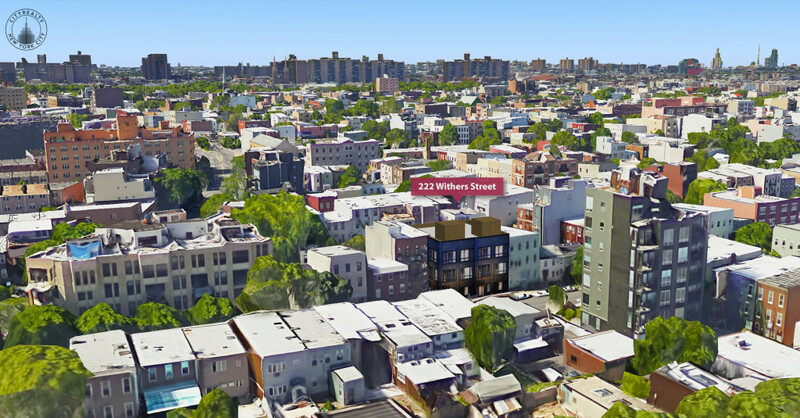 The area is still relatively affordable, especially when compared to the more western parts of Williamsburg. 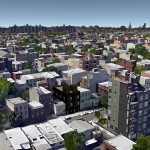 Around the corner at 246 Woodpoint Road, a two-bedroom apartment is for sale for $999,999, or $818 per square foot. In the same building, an 1,142-square-foot three-bedroom is for rent at $4,300 per month. To view future listings for 220-222 Withers Street, visit CityRealty.